You don’t have to pay through the roof for a high-quality luxury van that will get the job done. 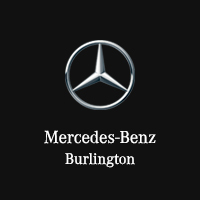 Browse the selection of new Mercedes-Benz vans under $50k available at Mercedes-Benz Burlington. Here you’ll find an array of cargo and passenger vans, all of which are completely customizable to meet your business or driving demands around Milton. Once you’ve picked out the van that works best for you, contact the dealership to arrange a test drive! The lineup of new Mercedes-Benz vans under $50k is certain to pique the interest of drivers from Hamilton and beyond. That’s because models like the Metris, Sprinter, and Sprinter 4×4 adhere to a wide range of needs. The newest Mercedes-Benz Metris Passenger Van, for example, promises seating for eight people, while the 2017 Mercedes-Benz Sprinter Passenger Van has room for 12 passengers. The cargo models for these vans boast cargo capacities of 5.27 metres cubed and 15 metres cubed, respectively. No matter what, you’re guaranteed versatility and flexibility in the various Mercedes-Benz vans priced under $50k.